In the ten years I’ve been of legal drinking age, I have received many undesirable bottles of booze as sub-par unthoughtful gifts. Take, for example, the relative who gave me a bottle of Malibu two years in a row, despite me being allergic to coconut. Or the bottle of Cava that was two years out of date and actually had dust on it in the gift bag it came in. But times they are a-changing. It’s not about popping into the local off-license, buying a bottle of whatever’s cheapest and putting a bow on it. 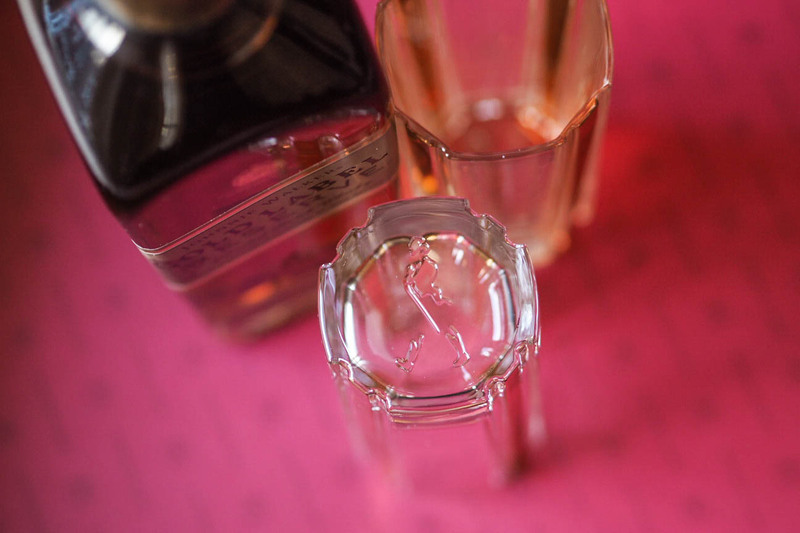 Premium spirits come in beautiful boxes with matching glassware, and these are the sorts of drinks that demand something a little extra. 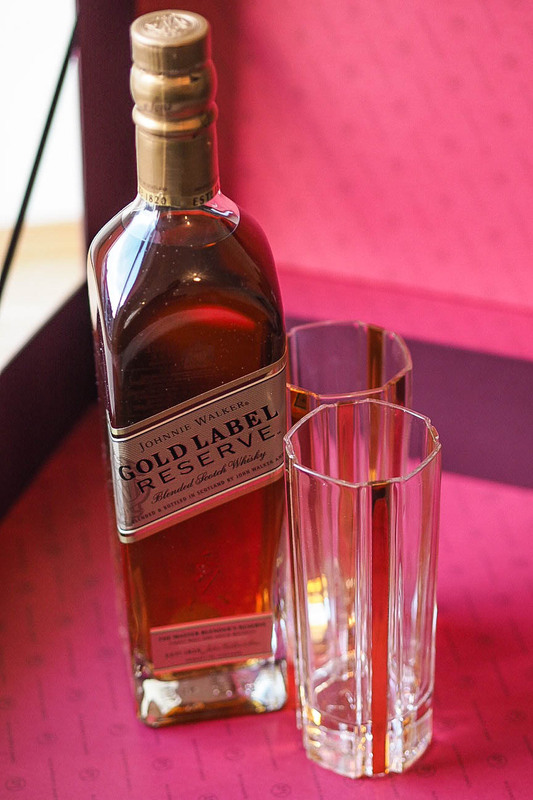 With whisky being my favourite spirit, I tried out a Johnnie Walker Gold Label Reserve gift set*, comprised of a bottle of whisky and some gorgeous glasses, and whipped up some cocktails for my lucky housemates. 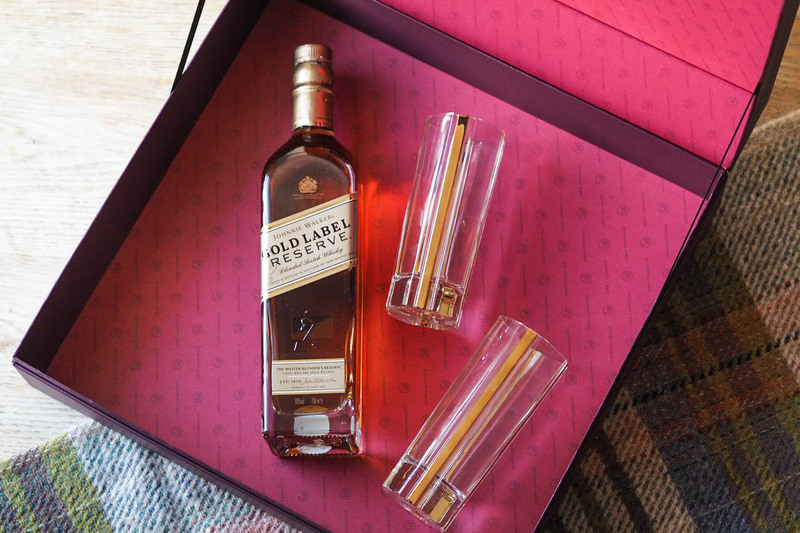 A fruity, tart way to help whisky worriers take their first steps towards appreciating the drink a little bit more. 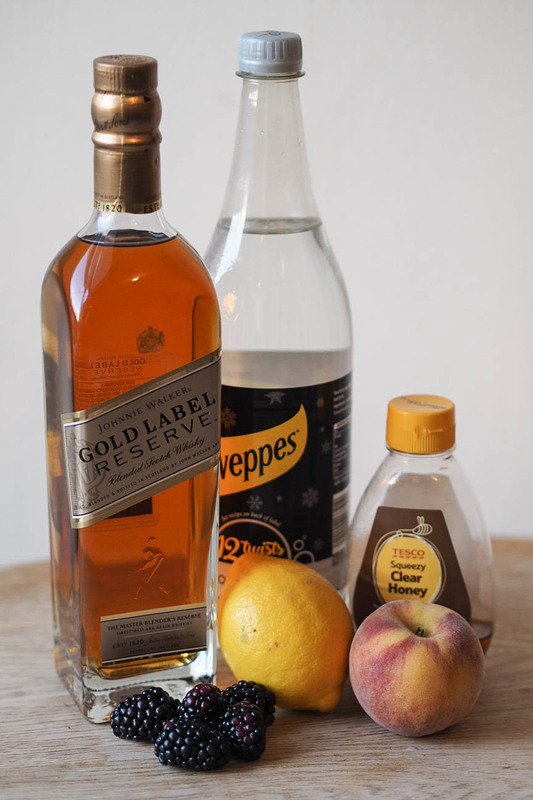 Adapted from a Martha Stewart recipe, it’s a gentle introduction to whisky as the sweetness from the fruit evens out the sourness of the alcohol. 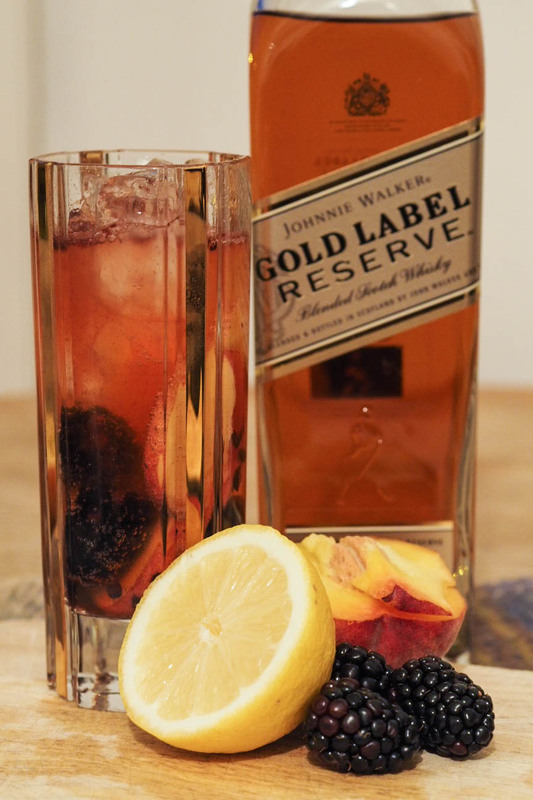 In a tall glass add two slices of peach, 3 blackberries, honey and lemon juice. Mash with a spoon to release the fruit juices. Add whisky, two more peach slices and three more blackberries. 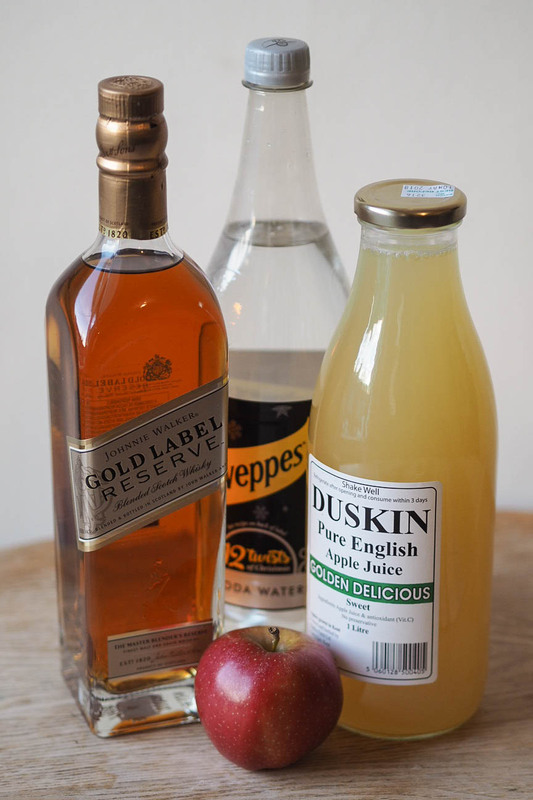 Cocktails don’t always need loads of ingredients, complicated methods and a trip to the supermarket for yuzu juice. 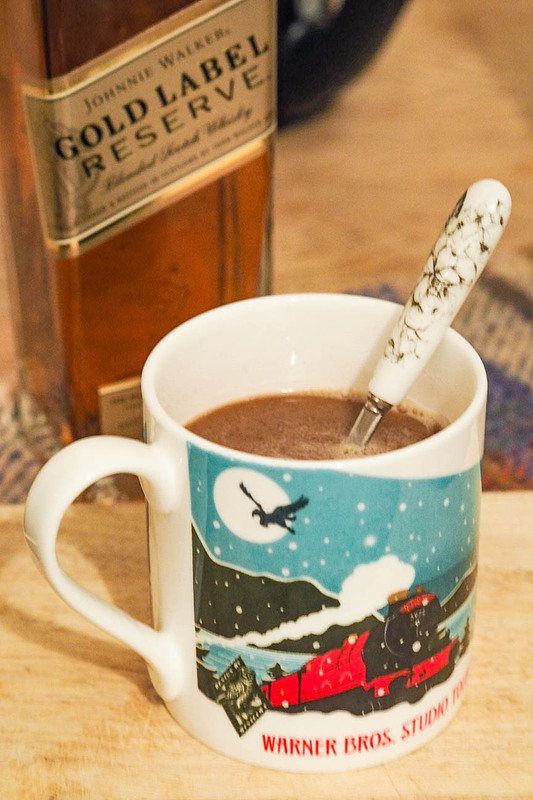 This concoction is super simple and the sort of drink I’d make for a festive evening in watching a Christmas movie and eating my weight in cheese. 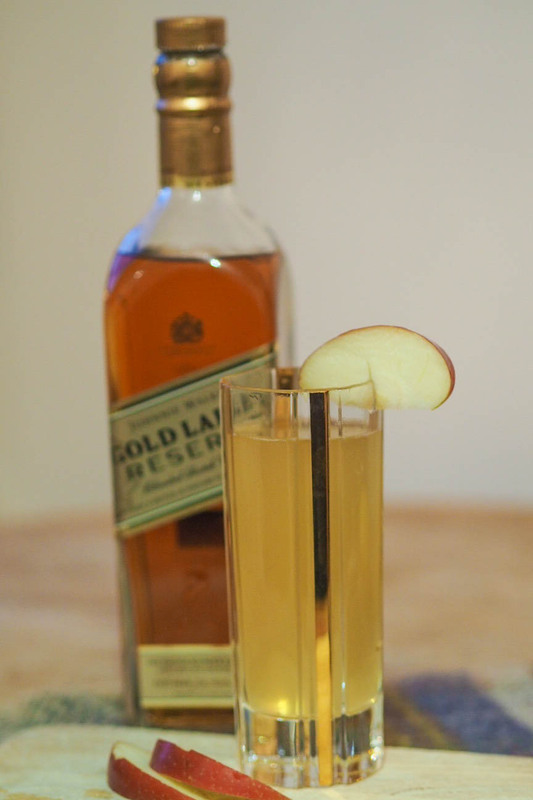 In a tall glass add the whisky, apple juice and soda water. Garnish with an apple slice and you’re done! Oh you read that right. I’m all about the mulled wine at this time of year, but THIS is taking delicious, warm alcoholic drinks to a whole new level. It takes a little bit of prep, but once it’s ready to be put together, it’s perfect to serve up in mugs for a group coming in from the cold. Mix butter, brown sugar and ground spices to form a smooth paste. Put in the fridge for about an hour. 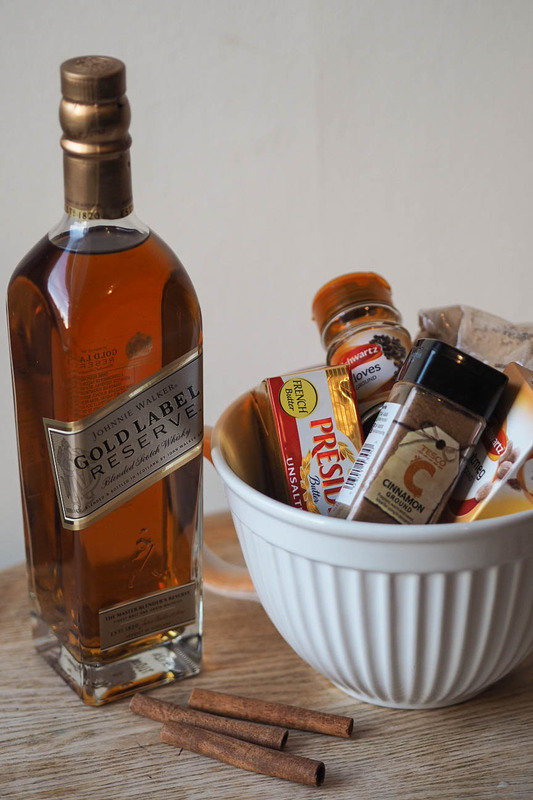 Once taken out of the fridge, put a tbsp into a mug and add the whisky. Top the mug up with hot water from the kettle. Stir until the paste melts. 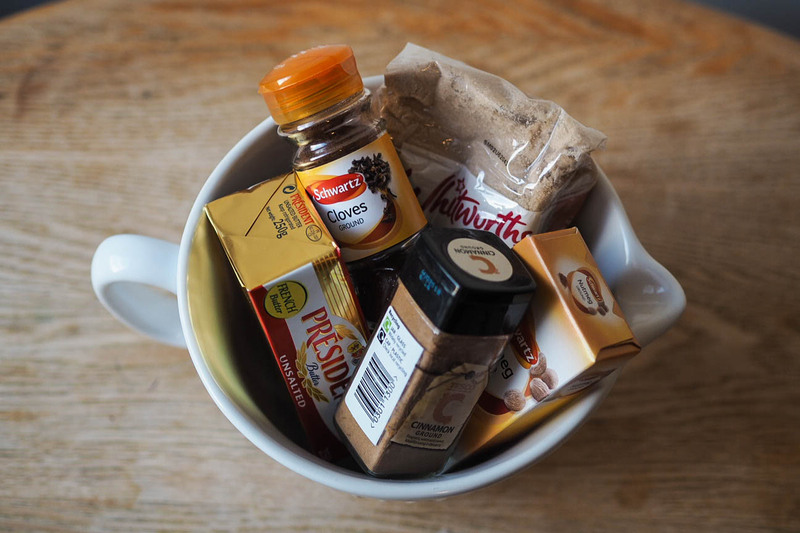 Add a cinnamon stick and enjoy much more than a cup of tea. 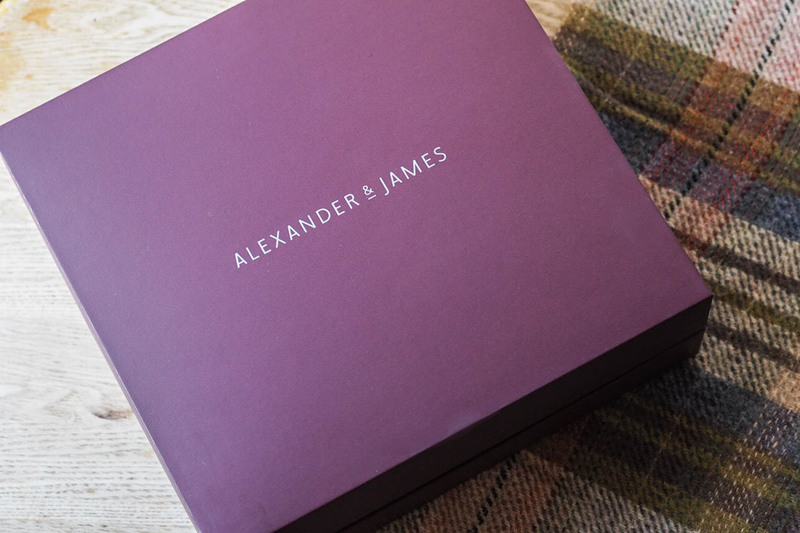 This post is sponsored by The Bar whisky gift sets. All opinions are my own.